27259: Acronis True Image Errors Out with "Failed to deploy task"
Acronis scheduling services are not started. As a result, no operation with any task is possible. 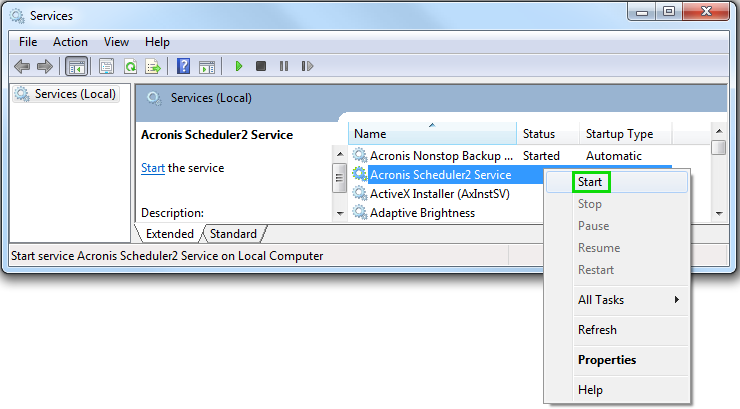 If you try to launch Acronis True Image right after system boot, services may not be initialized yet. It is recommended to wait several minutes before launching the product. 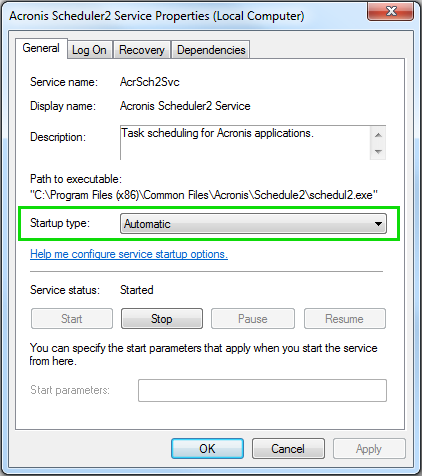 Acronis True Image checks for Acronis Scheduler2 Service and tries to start it automatically on Start. 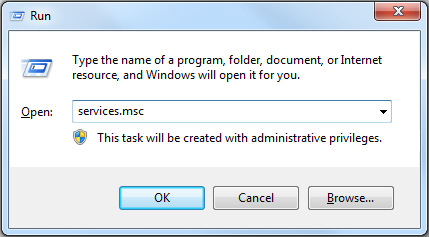 Alternatively, you can also manually change the service startup type to Automatic. 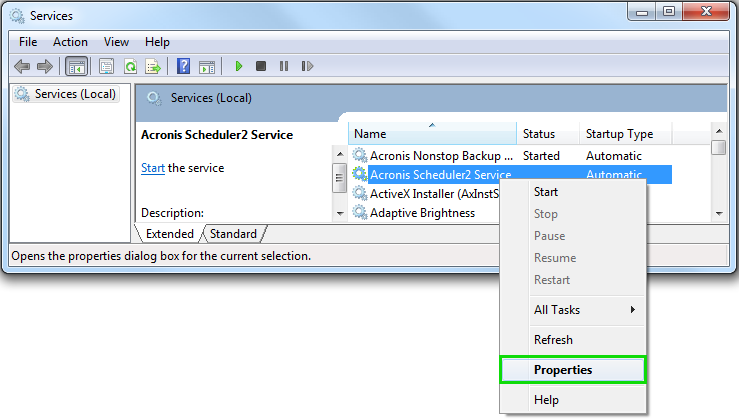 After updating to the latest build of the product, it will automatically launch Acronis Scheduler2 Service, if it the service status is not set to Disabled. If you are using a version older than Acronis True Image 2012 build 7119 you can use this special tool to change the startup type to automatic. After downloading, just run the tool and choose OK. 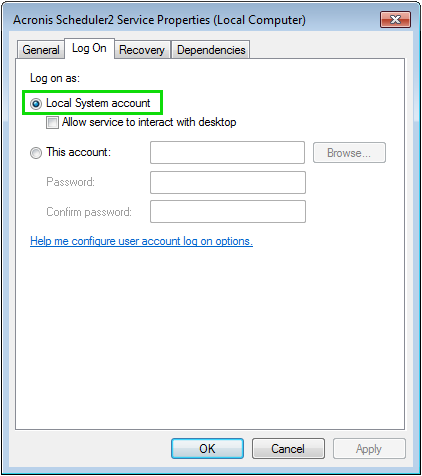 In case the OK dialog is displayed, but the issue still persists or in case error dialog is displayed - than it is a different issue and you should contact Acronis Customer Central.